This look was super easy to do, as you can imagine, because I'm not THAT great at artistic makeup - I'm happy enough if I cover my eyebags and acne scars! I used the shades Light Pink, Petrol Blue, and Brown. And just a teensy bit of Espresso. Just a tiny bit. The photo below marks which shadows I used with an "X". I placed Light Pink on the browbone as a highlight - you'll notice that it's pretty sheer so it doesn't show up very much. 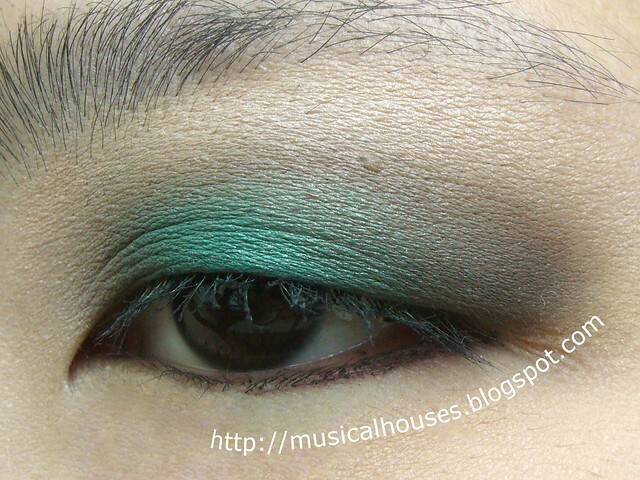 Petrol Blue is of course on the lid, and Brown is used in the contour area. The teensy bit of Espresso used was on the outer V, although I don't think you can really see a distinction between the two colours because I think I might have overblended. Oops. All the shades were really pigmented and blendable, and I didn't experience any issues with application at all. Only the Light Pink shade was sheer, but even in the photos above and below you can see there is a little bit of a light pink sheen on my browbone. So there is some effect still, and it is quite pretty. The photo below is just to show you how nice and dimensional my eye looks from the side after I applied the colours (usually as you might guess, my eye is pretty flat and contour-less). A side-ish view of the look, so you can see how much more contoured and less flat my eye looks! Yay! I quite like this eye look, although usually blue or turquoise isn't quite my colour for eyes on a day-to-day basis (that's what you get for working in an office environment, I guess!). But it is a fun look that's a little bold without being unwearable. I also liked the staying power of these eyeshadows - I wore them for three-quarters of a day without any primer (early afternoon until night), and they didn't budge, fade, or shift. I don't have oily lids, so I don't quite have issues of eyeshadow slipping and don't usually need primer, but still, this was impressive to me. 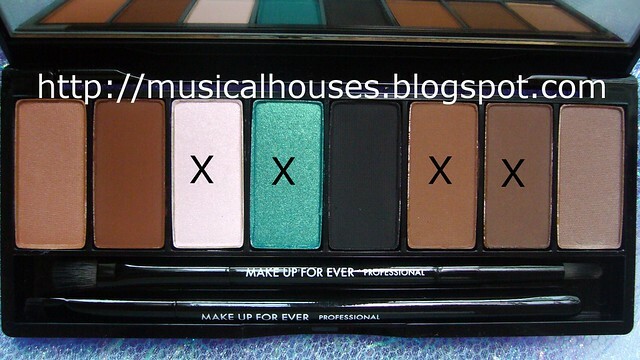 I think this is probably my favourite MUFE Palette so far. Not only are the shades lovely, the quality is also top-notch. 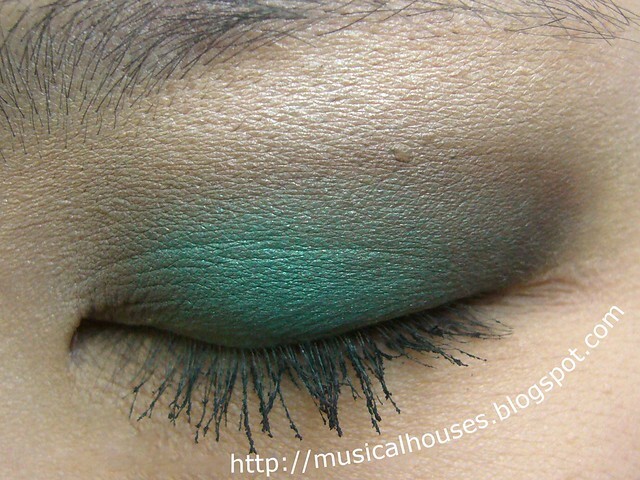 Beautiful eye look my dear. I love it.